Superb shirt from the Renault team. 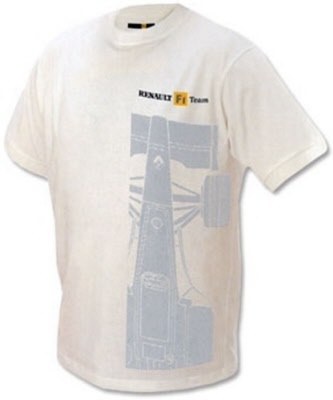 Keep your cool in this 100% cotton shirt with large print of a Renault F1 car in grey + Renault F1 team logo on the front and large Renault F1 Team logo on the back. The shirt is further enhanced by yellow overstitch on the seams. Available in size XL & XXL. 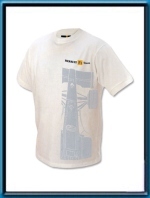 This is of course official Renault merchandise.